Mrs. Kolbach concentrates her practice in Capital Markets, Securities, Corporate and Commercial Law, Corporate Governance and Compliance, Financing and Private Equity, M&A, Investment Funds and Mutual Funds, Banking Law, Insurance, Administrative Law and Economic Sanctioning Law. Mrs. Kolbach has extensive experience in the capital and financing markets; asset management, investment funds, mutual funds and alternative funds; issuance, placements, mergers and acquisitions; investments, intermediation and derivatives; banking and financial operations; corporate governance, compliance and sanctioning administrative law; legal and regulatory compliance audits; e-business and online contracting; real estate, insurance, commercial, economic and civil. In this line, she has provided specialized legal services for general fund management companies of different investments funds, brokerage brokers, securities agents, portfolio managers, stock brokers, insurance companies, risk rating agencies, banks, financial institutions, open corporations, issuers and other actors in the capital markets. She has participated as a legal advisor in all kinds of asset management, brokerage, investment, crowdfunding, insurance, corporate finance and wealth management businesses; structuring and implementation of business, vehicles and investment platforms; Corfo and private financing; design and development of financial market products, instruments and services; acts and contracts for their offer, placement, registration, administration, marketing, distribution and representation, both in Chile and abroad; corporate governance and compliance, especially in regulated companies and markets; strategic negotiation in complex operations and transactions of the financial market; defense before oversight agencies of the securities market and insurance; consultancy and training in matters of regulatory compliance, prevention and control of legal and regulatory risks, with emphasis on those inherent to the proper function of directors, executives and employees, as well as of each specific area of the company. Ms. Kolbach has served as a strategic company and board legal advisor of capital markets entities, as well as corporate and compliance legal advisor of EuroAmérica; head of the capital markets group of Philippi, Yrarrázaval, Pulido & Brunner Abogados; and legal counsel of LarrainVial Administradora General de Fondos S.A. 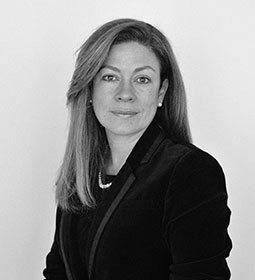 Previously, she worked as partner in Kolbach, Ortúzar, De la Cerda, Irarrázaval & Massa Abogados, and associate lawyer in Cariola, Díez, Pérez – Cotapos & Cía. Abogados. J.D., Universidad de Chile, (Pedro Nicolás Montenegro Award, best student of the promotion), 1995. Master of Business Law (MBL), Universidad Adolfo Ibáñez, (Best MBL Student Award), 2011. Advance Diploma in Economic Sanctioning Law (Stock Market, Corporate Governance), Universidad de los Andes, (Best Student Award), 2015.